From one of Sweden’s most popular baking bloggers comes a cookbook containing the secrets of making scrumptious baked breads right in your own home. This reliable baking book will provide you with wonderfully aromatic, freshly baked bread for all occasions that even the inexperienced baker can prepare. 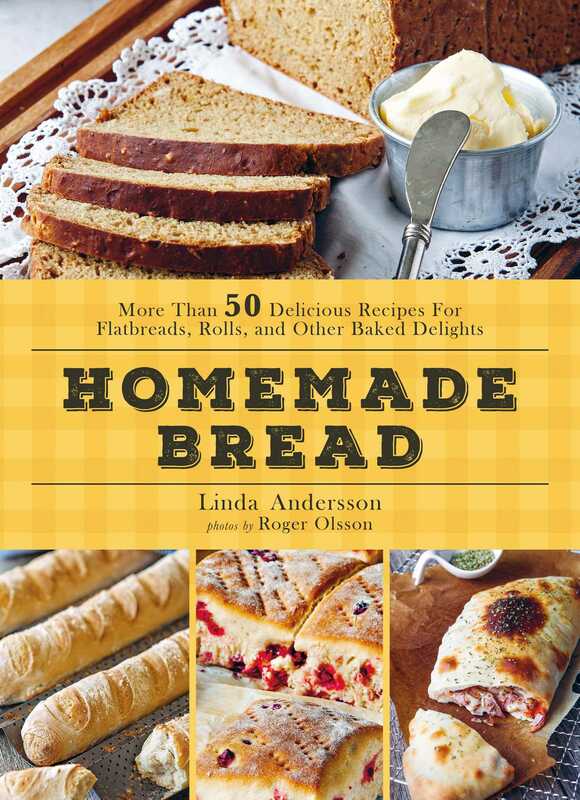 Within this book, you’ll find author Linda Andersson’s most popular recipes, all of which use natural ingredients. Through her instruction, learn to make fresh breads, rye tea cakes, cranberry loaf, lingonberry bread, crumpets, oat squares, and carrot rolls. In addition to these more unique recipes, this book also teaches you how to make more practical breads, including your own hamburger buns, homemade pizza, and much more! Bursting with recipes that are easy to follow and clear step-by-step photos, this is the quintessential cookbook for any bread baker—aspiring or professional.